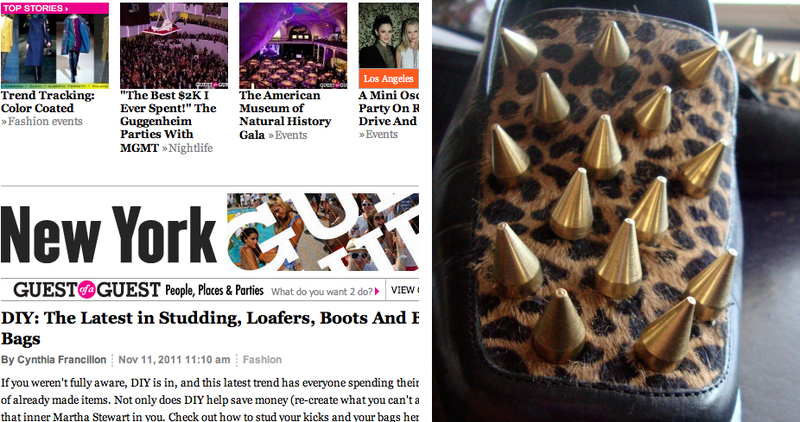 I was so excited today to find out that, the fab New York edition of guestofaguest.com,( here ) featured my studded loafer DIY! Please be sure to check out both! && thanks to Cynthia Francillon for the lovely feature!